CEILS Instructional Consultants are UCLA instructors who collaborate with CEILS to support the research, development, and implementation of best educational practices in the classroom. Instructional consultants are available to support faculty across the Life Sciences and Physical Sciences in exploring, implementing, and assessing new teaching strategies. Learn more about our Instructional Consultants and their areas of expertise below. 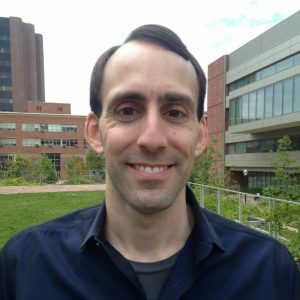 Will Conley is an Assistant Teaching Professor of Mathematics (Lecturer with Potential for Security of Employment, LPSOE) in UCLA’s Department of Mathematics. He received B.S. degrees in computer engineering and mathematics from Virginia Polytechnic Institute and State University and later earned his Ph.D. in mathematics at UCLA. Dr. Conley’s research focuses on algebraic number theory, automorphic forms, and the representation theory of p-adic groups. Since 2012, he has devoted himself to teaching mathematics and improving the quality of math instruction at UCLA. Dr. Conley has been closely involved with the design of UCLA’s innovative Mathematics for Life Scientists course sequence, LS 30A and LS30B, which he also teaches regularly. In addition, he is overseeing the Mathematics Department’s efforts to improve the learning outcomes of undergraduates in early math courses. He also serves as a teaching advisor to the department’s instructors. 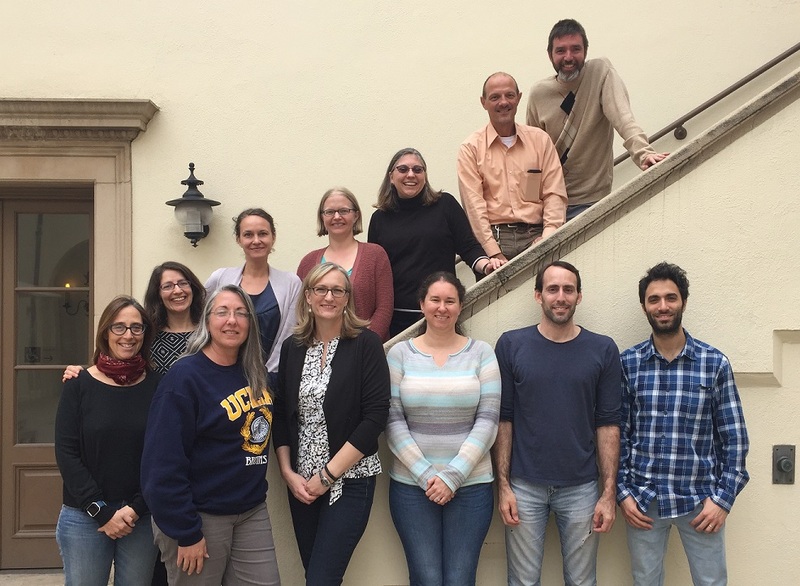 In her role as Associate Director for Engaged Teaching at the UCLA Center for Community Learning, Dr. Elizabeth Goodhue builds partnerships between campus and community stakeholders that are academically rigorous and publicly engaged. She supports faculty and departments across the UCLA campus as they work to integrate community-engaged learning into the curriculum through active learning pedagogies such as service learning, academic internships, and community-based research. When college students work and learn with the diverse communities of Los Angeles, they explore the broader impacts of academic knowledge in society and contribute to the public good of higher education. Above and beyond these outcomes, experiential learning projects help students build highly transferrable skills in areas ranging from critical thinking to project management to cross-cultural communication. As a CEILS Instructional Consultant, Dr. Goodhue hosts pedagogy workshops and meets individually with faculty to explore how academic community engagement can be integrated into any level of the UCLA curriculum–from entry-level courses in general education and within specific majors to upper-division electives and capstone courses for more advanced students. Email her to schedule a consultation and please visit the Center for Community Learning’s website to learn more about how UCLA students are engaging the diverse communities of Los Angeles. 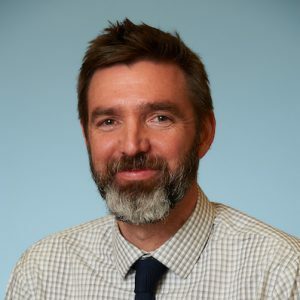 Jordan Moberg Parker is the Director of the Microbiology, Immunology & Molecular Genetics (MIMG) upper-division, research-based laboratory curriculum. She teaches Research Immersion courses in Microbiology and Virology. Dr. Parker received her B.S. in Microbiology from California Polytechnic State University in San Luis Obispo in 2003. She earned her Ph.D. in Molecular Biology from the University of California, Los Angeles (UCLA) in 2012 for her work with Dr. Arnold J. Berk on viral model systems for gene delivery and transcriptional control. Dr. Parker was a 2014 ASM Biology Scholar, an NSF sponsored program to advance the scholarship of teaching and learning in biology, where she participated in a year-long Assessment Residency devoted to developing measurable student learning outcomes. She has been selected as a facilitator for the 2015 Biology Scholars cohort and has presented her work at national science education conferences. 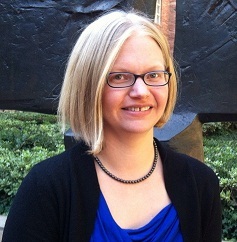 As a CEILS Instructional Consultant, Dr. Parker leads workshops, consults with faculty and teaching assistants interested in using the CREATE process to facilitate student competencies reading and analyzing scientific literature, and works with instructors to design assessments aligned to course or curricular outcomes. 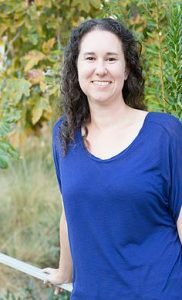 Debra Pires is an instructor for the introductory biology curriculum at UCLA, teaching courses in evolution, ecology and biodiversity (LS1), cells, tissues and organs (LS2), and molecular biology (LS3). Dr. Pires is a long time Bruin, earning her B.S.A. in Biology and later her Ph.D. in Ecology and Evolutionary Biology at UCLA. Her research focused on population genetics, conservation genetics, and the behavior of an insectivorous Central African bat, Hipposideros ruber. Dr. Pires continued her academic career by becoming an innovative instructor, with campus leadership roles in STEM teaching, learning, and community college outreach programs. 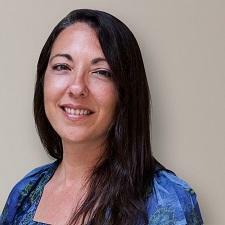 Her pedagogical interests and skills include using online instruction, active learning, and classroom technology to achieve student learning outcomes in her courses. As a CEILS Instructional Consultant, Dr. Pires coordinates and leads STEM teaching workshops, consults with faculty and teaching assistants on course and curricular issues related to teaching and assessment, and provides teaching demonstrations for faculty interested in incorporating instructional technology such as clickers into their courses. Gaston Pfluegl, Director of the Life Sciences Core Laboratories and instructor for the introductory life sciences curriculum at UCLA, teaches the course Cells, Tissues, and Organs (LS2) and the laboratory course Introduction to Laboratory and Scientific Methodology (LS23L). Dr. Pfluegl earned his B.Sc. in Computer Science at the Technical University Berlin and his B.Sc. in Biochemistry at the Free University in Berlin, earned his Master’s in Biochemistry and his Ph.D. in Biophysics at the University of Basel. His research focused on molecular replacement and structure solution of large protein structures in the field of protein crystallography. He then joined the Eisenberg lab at UCLA continue work in this field as a post-doctoral scholar. Dr. Pfluegl later became a STEM instructor teaching Biotechnology and Society for the Freshmen Cluster Program at UCLA as well as developing and teaching an innovative upper division curriculum that provided students authentic research experiences. Dr. Pfluegl spearheaded development and now directs the Life Sciences Core Peer Learning program and the Undergraduate Learning Assistants (UA) program. Dr. Pfluegl has been directing the UA program for over 11 years, ushering its integration into the lower-division life science laboratory courses as an effective way to improve instructor:student ratios in large enrollment introductory courses. It is offered to undergraduates as a course for credit. His pedagogical interests and computational skills include using online instruction, active learning, and classroom technology to achieve student learning outcomes in his courses. As a CEILS Instructional Consultant, Dr. Pfluegl coordinates and leads STEM teaching workshops, consults with faculty and teaching assistants on the applications of online instructional technology, and provides teaching demonstrations for those interested in screen casting or using video/audio capture software to create online lectures or to conduct virtual office hours. 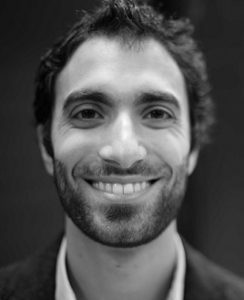 Josh Samani is an Assistant Teaching Professor of Physics and Astronomy (Lecturer with Potential for Security of Employment, LPSOE) in UCLA’s Department of Physics and Astronomy. Dr. Samani earned his Ph.D. in Theoretical High Energy Physics from UCLA where he studied gauge-gravity duality models for boundary conformal field theories, warped AdS spacetimes, and higher-spin theories. Dr. Samani’s current focus is implementing student-centered curriculum in his physics courses. In particular, he is focused on integrating computational science education in science curricula as a means for deepening and broadening student understanding, inspiring students to pursue careers in STEM, and preparing them for 21st century employment in research and industry, both of which increasingly emphasize the importance of computational techniques. In 2017, Dr. Samani was a recipient of UCLA’s My Last Lecture Award. The My Last Lecture Award is the largest student-nominated faculty award at UCLA. Heather Tienson is a Lecturer in the Department of Chemistry and Biochemistry, where she teaches Introductory Biochemistry (Chem 153A). 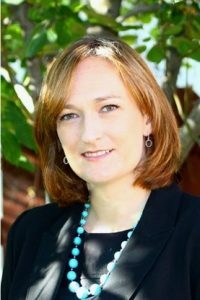 Dr. Tienson earned both her B.S. and Ph.D in Biochemistry from UCLA. Her graduate research focused on protein import into mitochondria, where she helped characterize a redox dependent pathway for the import of proteins into the mitochondrial intermembrane space. Dr. Tienson conducted postdoctoral research at the University of Michigan. Her research interests remained in redox biology, with a focus on the role of redox homeostasis in aging. In 2012, she returned to UCLA to teach Biochemistry. She is passionate about improving instruction in large undergraduate course, focusing on improving student critical thinking skills and scientific reasoning in courses with greater than 200 students. As a CEILS Instructional Consultant, Dr. Tienson offers workshops and individual consultations in pedagogies such as POGIL, a type of problem-based learning suitable for large enrollment classes. She is available to discuss classroom technologies that assist with grading efficiencies and improve the quality of feedback given to students on exams and other assignments. Drawing upon her experience in curriculum development, Dr. Tienson provides advice on how to effectively work with Teaching Assistants and engage them in more inclusive, collaborative learning techniques during discussion sections. Doug Worsham is the Lead for the Teaching and Learning Team at UCLA Library, and the subject liaison for Psychology and Food Studies. 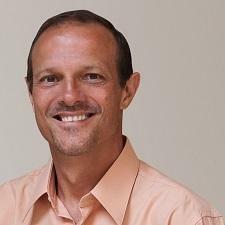 With a background in instructional design and student-centered pedagogy, Doug is passionately interested in how learners work individually and collaboratively to build knowledge.